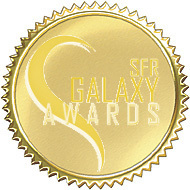 Fortune’s Hero won a SFR Galaxy Award in January 2013, for best Enemies to Lovers story, and a WISRWA Write Touch Award in July 2013, for best FFP – Fantasy, Futuristic, and Paranormal – book of the year. Last year, galactic translator Holden Sinclair had a great life. He was traveling the nexus with his friends, seeing new worlds, making money, and generally having a good time. The only cloud on his horizon was his unrequited crush on the captain’s girlfriend, but that matter resolved itself when she betrayed them to the Rhenians and they were shipped to the prison camp on the moon Marica-3. Since then, Holden’s only thoughts about Josie have revolved around getting even. Or so he thinks, until he runs into her again, in a brothel in Calvados. She’s disillusioned, contrite, and still as desirable as ever. 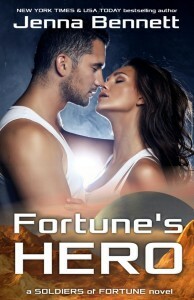 And all too soon Holden finds himself right back where he started: torn between his loyalty to Quinn and the crew of the Good Fortune, and his feelings for Josie. But with prices on all their heads, their mechanic scheduled for public execution in the Calvados town square two days hence, and the Rhenian military drawing the net ever tighter around them… can he justify putting his trust in a woman who’s already betrayed them once? Can he risk the consequences of reintroducing her into their lives? And most importantly, can he stop his friends from killing her on sight?